There's a chill in the air in this issue's brand new Star Wars: The Clone Wars comic strip adventure, as our heroes struggle against snow and Asajj Ventress on an icy planet. Born into darkness, shaped by a warrior culture and the magick of the Nightsisters, Savage Opress is a deadly enemy for every Jedi! Check out his full profile in this issue. What if Anakin duelled General Grievous? 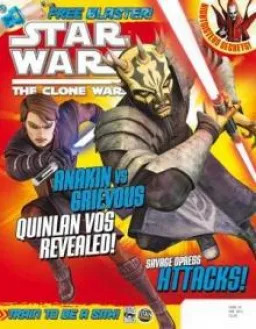 We all know how the Clone Wars history unfolded - but what if the story went a different route? Find out in this issue!